Draining and tonic, Finessence Organic Extra Patchouli Essential Oil improves circulatory comfort. It is ideal for varicose veins and heavy legs. Its regenerating properties make it a perfect natural care for damaged and tired skin. It brings radiance and light to the complexion. It also soothes dermatoses and skin problems such as acne or eczema. In diffusion, it perfumes the interior of a delicate amber and oriental perfume while sanitizing the atmosphere. 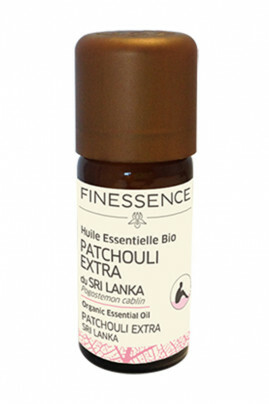 Finessence Organic Extra Patchouli Essential Oil naturally fight against circulatory disorders. Cutaneous application : In a spoonful of vegetable oil, add 4 drops of essential oil. An organic and natural Essential Oil!